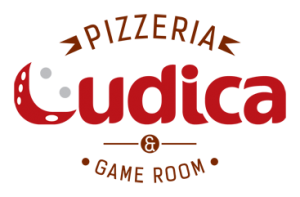 Ludica Pizzeria and Game Room: A Neapolitan-style pizzeria that also boasts a healthy game library! Unique to Vancouver with over 500 games and an amazing selection of delicious pizzas. Located at 189 Keefer Place, Vancouver, BC. Half a block from Rogers Arena and Tinsletown. Drexoll Games: Serving Vancouver since 2002, Drexoll Gamesspecializes in non-electronic games for all ages and interests.We stock over 1,000 board games, plus collectible card games, collectible figure games, roleplaying books and accessories, and classics like chess, GO boards, and backgammon.We carry board games, card games, party games, trivia games, dice games, game accessories, clay poker chips… and more. We have several games open for you to demo in our game lounge. 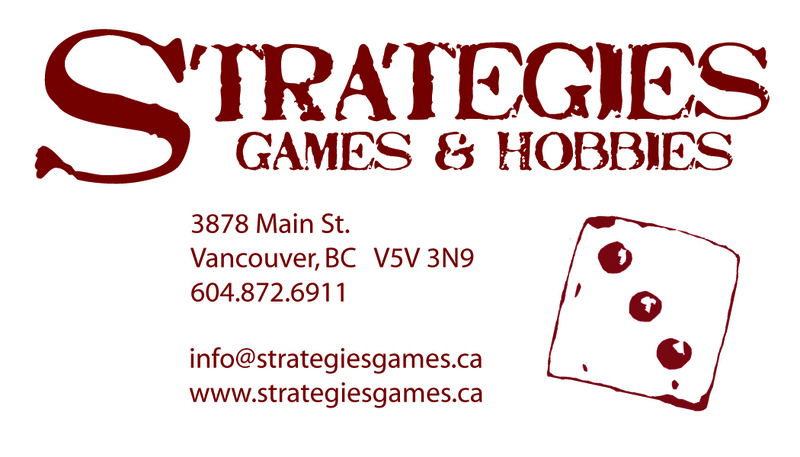 Magic Stronghold Games is the Lower Mainland’s premier Magic: The Gathering and hobby store. They carry a vast selection of board games, table top miniatures and role-playing games and ship across Canada. 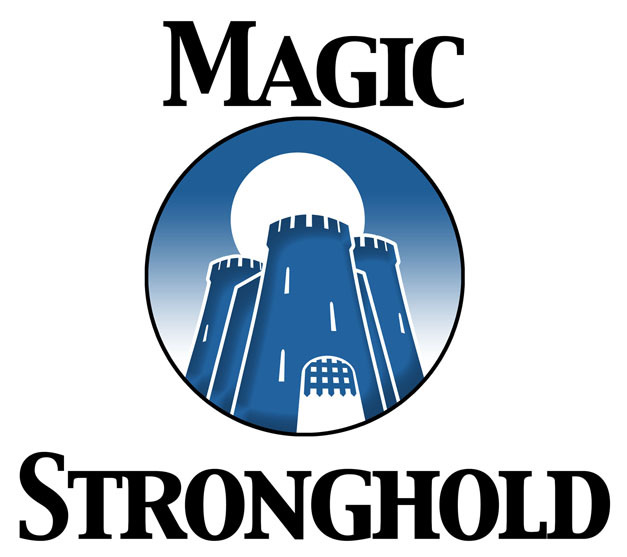 Magic Stronghold also offers a large in-store play space with a board game library, and hosts weekly Board Game Nights and Fantasy Flight night. New board games, classic board games, “Euro” board games, and re-released board games are coming in every week, faster than we can update the website! Give us a call or come by to see what’s new. STRATEGIES hosts many fun game events each month. We have “learn to play” events for board games and miniatures games, “open board game nights,” tournaments, and painting events. Check out the EVENTS & SCHEDULES page on our website for more details. Games on The Drive has board games for all ages. We have games for the very young, games for the very experienced, and everything in between. Our friendly staff will find the right game you from our vast selection in store. If we don’t have it, let us know what you’re looking for and we will try our darnedest to find it for you. Days of Wonder publishes top-quality, family-oriented board games that are easy to learn and fun to play. Our name is derived from the “sense of wonder” we all experienced as children when we first fell in love with playing games. While easy to learn and play, each game has tactical game play elements that guarantee you’ll want to replay them again and again. In addition to great game play, we believe that the materials in a game should make it a pleasure to play. 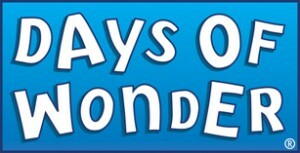 Days of Wonder games set the standard for the highest quality components and uncompromising production values. We know you enjoy them. HABA is a gold standard baby and children’s toys brand. Our eco-conscious approach to manufacturing, company culture built on values, creative product design, and functional engineering aims to increase children’s happiness and facilitate development. Our background in crafted wood toys crosses generations in our family and the families whose children have come to love their HABAs. Today this gold standard in values, safety and quality control, guides our full product line, creating a single source for children’s games, block sets, and toys. 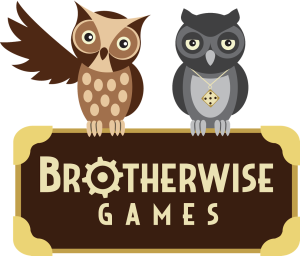 Asmodee Editions produces and distributes an impressive variety of board and card games that are suitable for many different age groups and interests. Recently, the leading international publisher and distributor Fantasy Flight Games, a worldwide recognized hobby games publisher – proudly announced the pending merger of the two companies. Previously, Days of Wonder, a California game publisher known for the award-winning 2004 board game Ticket to Ride, had already announced that it will merge into the Asmodee Group.